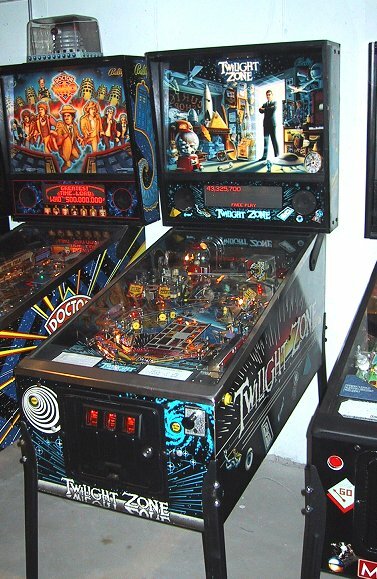 New Year's Eve (12/31/01) and I'm getting another pinball machine! 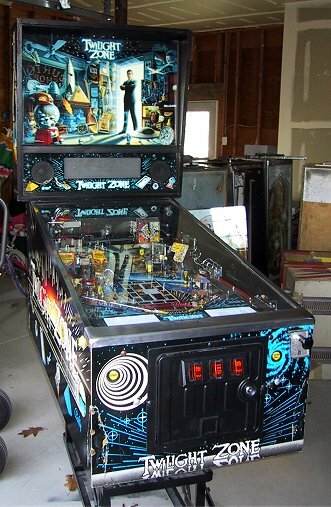 I had an offer from a collector friend who lives a few miles away to trade for his Twilight Zone. He was interested in my Black Knight and was willing to trade the TZ for my Black Knight (and some cash, he's not crazy!) He sweetened the deal with some junk Gottlieb System 1 games that I can use for parts to fix my Solar Ride and Charlie's Angels and I was sold. 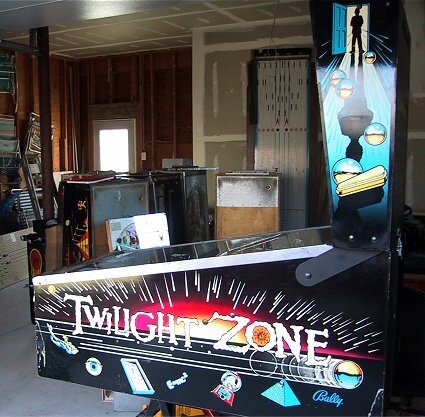 This has got to be the heaviest pinball machine ever made! I move machines up and down my basement steps by myself without any trouble. Black Knight went out in the morning without a problem. Attempting to carry out the TZ up the few steps from his walkout basement and my leg locked...! (I broke it a few years back and there are 4 screws in it, so I can be excused somewhat...) All I could think about was dropping that TZ! A minute of rest (while he's holding the heavy end!) and the machine made it out fine. Needless to say its still sitting in the garage until I break it down to move it into the basement! Update 1/2/02 - I got the machine down to the basement yesterday with my wife's help. We took it apart, removing the playfield and the backbox to get some more manageable pieces. Its the playfield that accounts for all of the weight. It took two of us to get it out of the machine and down the stairs, while I was able to manage the cabinet by myself! And it did make it safely downstairs!